“Iranian Everything” app is up and running, and is being downloaded at incredible rates, by Iranians in the US and elsewhere. The list of Iranian dentists, and other Iranian businesses and professionals are now easily accessible on any smartphone (i-phone or Android). Download it for free at Google Playstore and Apple store. NEW YORK, N.Y., USA: The American Dental Hygienists’ Association’s board of trustees recently announced its formal endorsement of the Smiles for Life Oral Health Curriculum. Smiles for Life provides free online resources to primary care providers with the mission of promoting oral health as a vital component of overall health. I grew up in a household where my father had a rather large library. Many of the books were in English and I didn’t understand much about their subject matter but the pictures were fun for a teenager to look at: Pictures of infected teeth and mouth, and sometimes deformed faces due to these infections! It always surprised me to know how many books could be written about teeth, and in absence of dental care, what damages neglecting oral hygiene could cause people. My late father never stopped learning about his profession, as a dentist, which he practiced for more than forty years. I thought about following his steps and for a while flirted with the idea of going to Dental school (and even took the DAT and did decent on it) but it just was not in my destiny to enter this great profession. So I am delighted to be here at the company of so many wonderful Iranian dentists on this site. Scroll through our website: We have dentists from large clinics and well as sole practitioners. General dentists from small towns, as well as oral surgeons from big cities. You may search for a dentist, based on his/her name, location, or specialty. Once selected, you can view his/her office information, such as street address and phone number and their website; and some even have their pictures up. In these times where everything in ‘on the web’, we have tried to finally have all the Iranian dentists working in the USA, all under one roof. 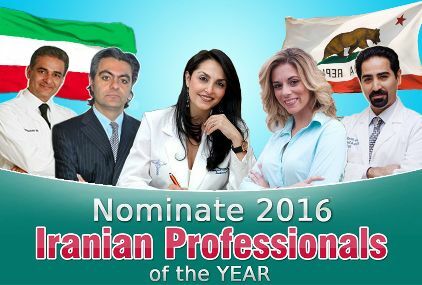 A few other sites for other Iranian professionals have also been created (www.iranian-everything.com) and our goal is to complete the series, listing all Iranian professionals and establishments active in the United States, by 2010. If you are a dentist, interested in being listed, please feel free to sign up by filling out the on-line form. If you have any questions, you may contact us via email, or call us at 1(800)385-6117 and we will be glad to help you any way we can. I am Ramin Sattari, D.D.S. Good question. My time is divided between three continents. North America, Asia, and Africa. What do you do in those regions? I do what I am trained to do, and what I love to do: I work on people’s teeth. I have an office in Hamadan, Iran, which is my main location. A few months a year I am here in the US, and one month out of the year I am in South Africa. Believe it or not, there is a huge shortage of dentists there. I have my paying patients there, but I also do some charity work for the poor, every time I am there. What made you become a dentist? I was born in a small town in Iran, by the name of Zabol. You know, in Ferowsi’s epic, Shahnameh, this is where Rostam came from. Anyway, there my father was the town’s pharmacist, and everyone called him “doctor” and they had much respect for him. At first, I was supposed to go to pharmacy school, but I applied and qualified for dental school, so I signed up for dentistry instead. Yes, happily married, and I have a son. And ,he’ll be ten years old in July. Thank you for your time, and good luck to you.